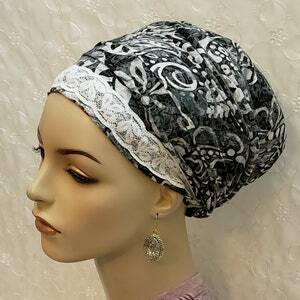 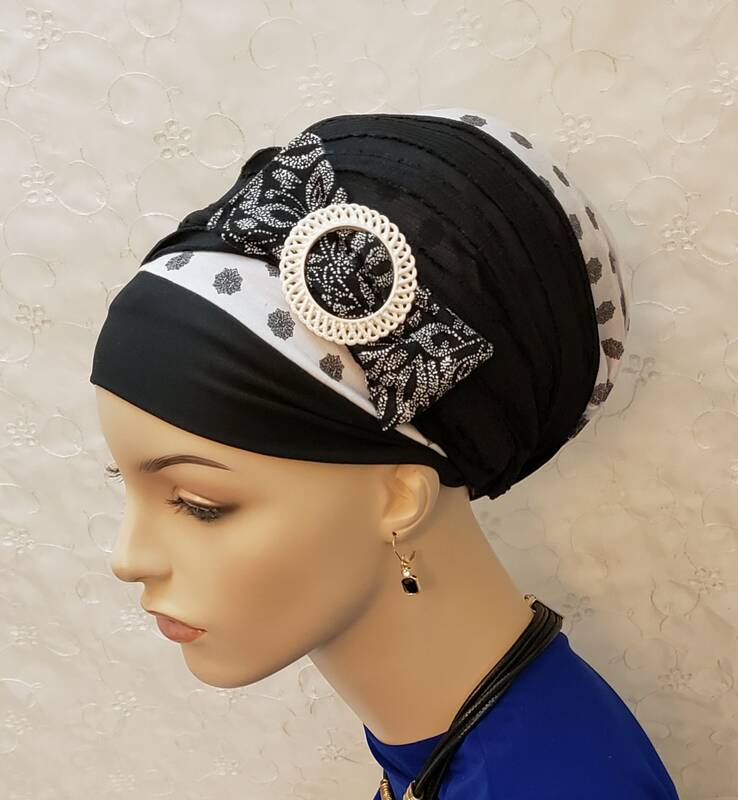 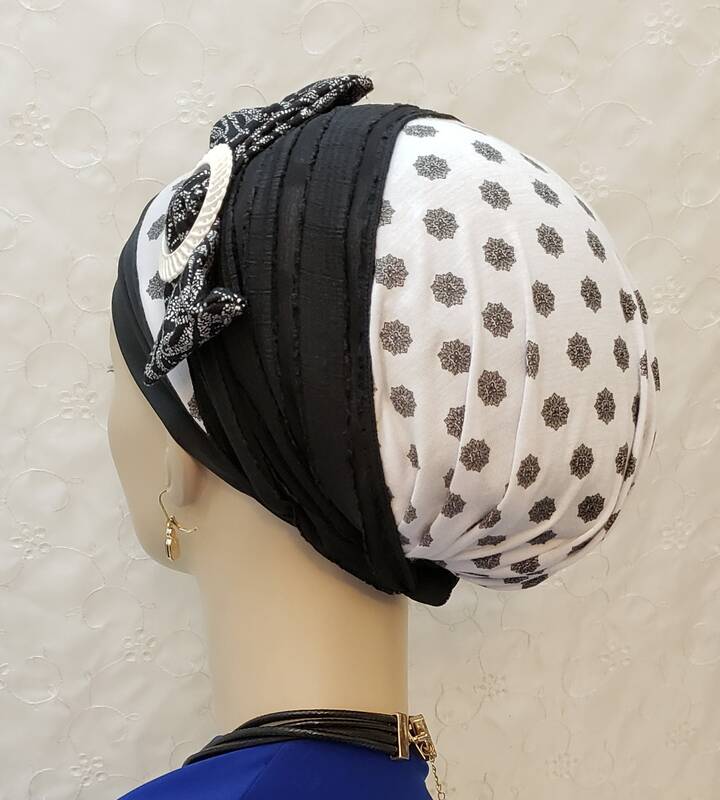 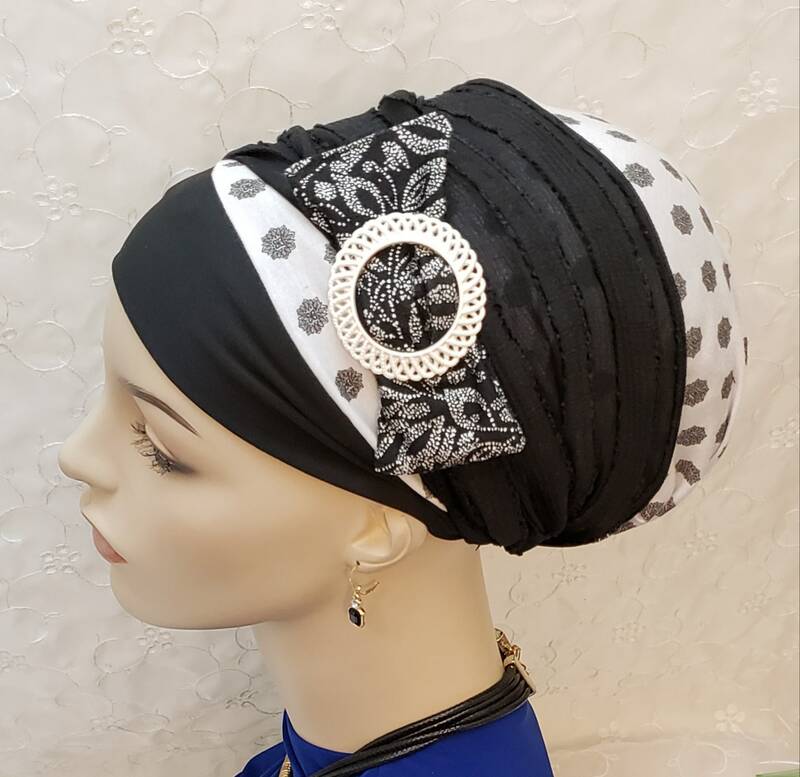 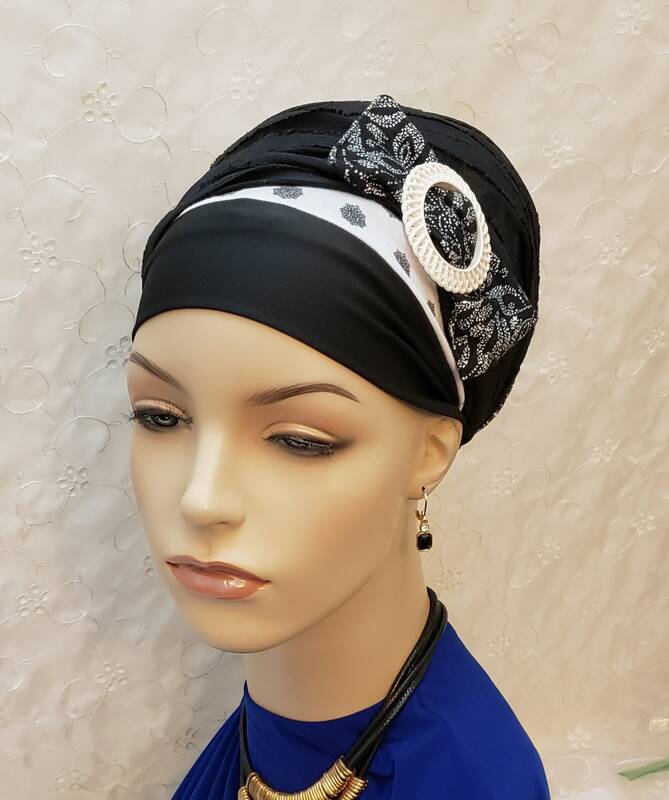 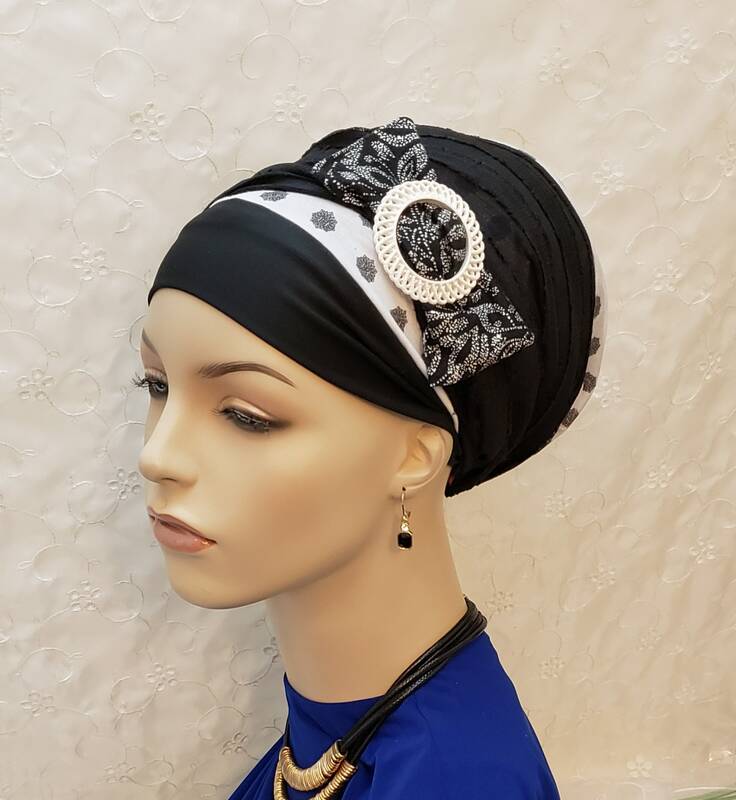 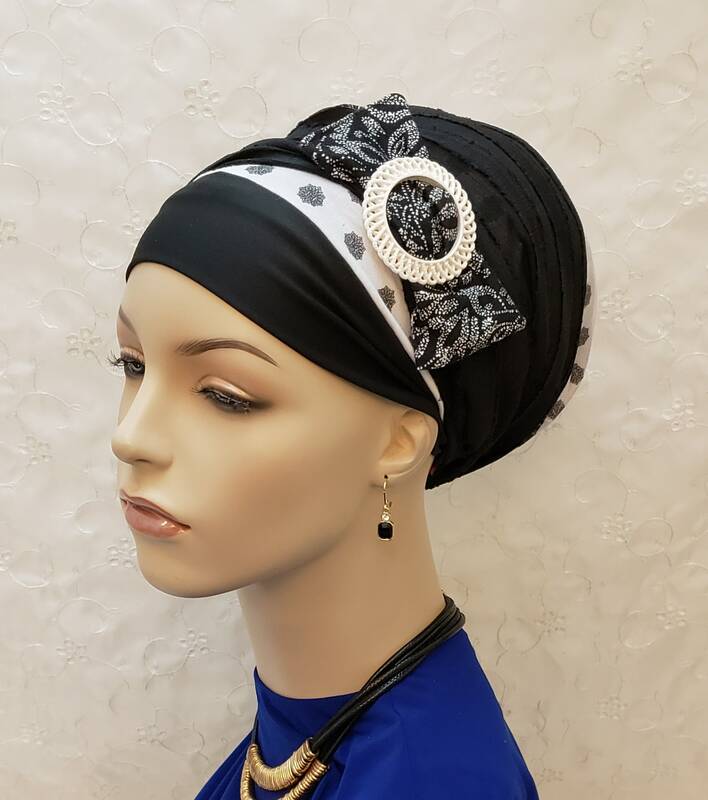 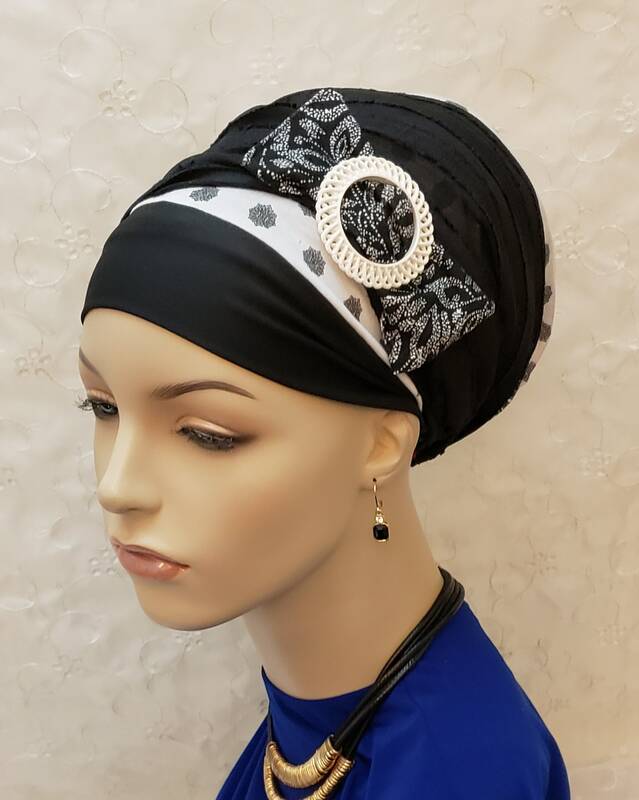 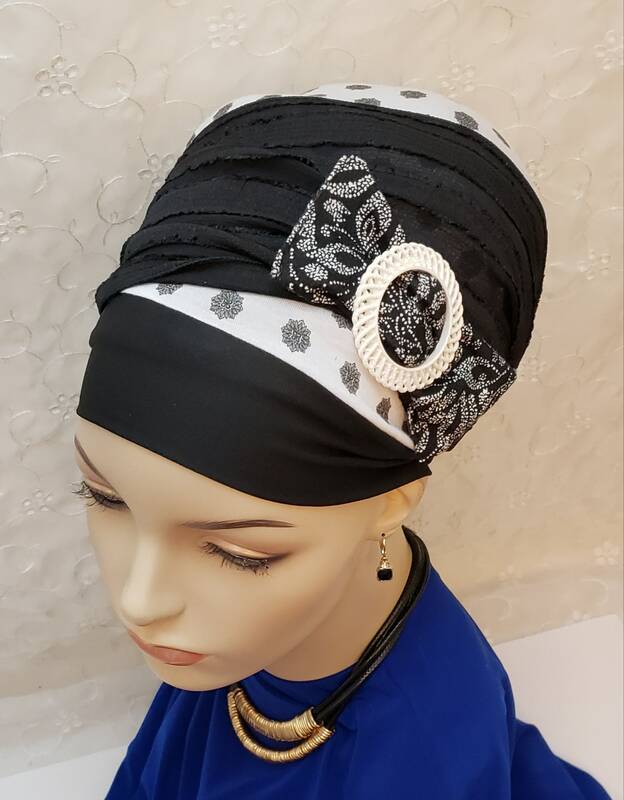 Stunning medallion print sinar tichel with moveable/removeable bow! 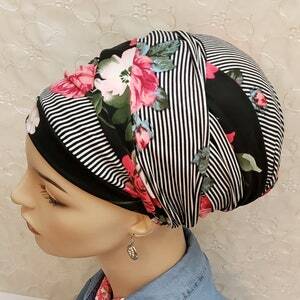 Soft stretchy jersey is so soft and wraps neatly. 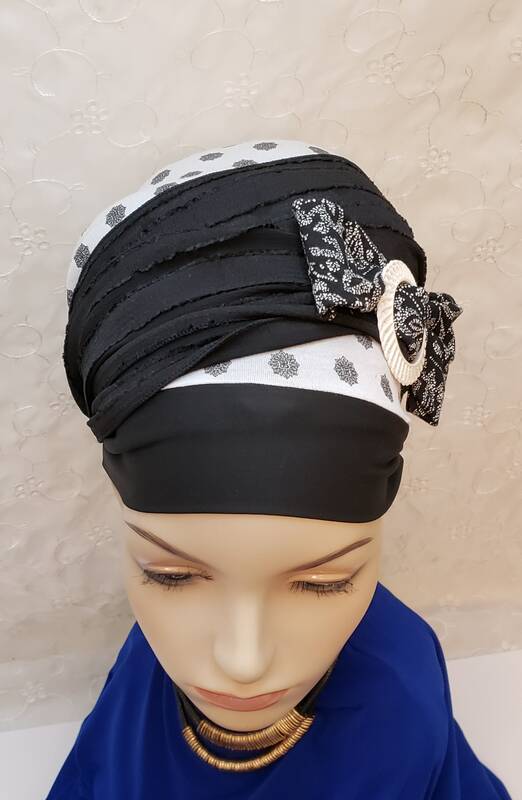 Two light textured chiffon ties add sophistication. 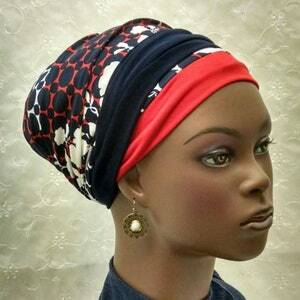 Wrap the ties at an angle across the head to achieve the look in the photos! 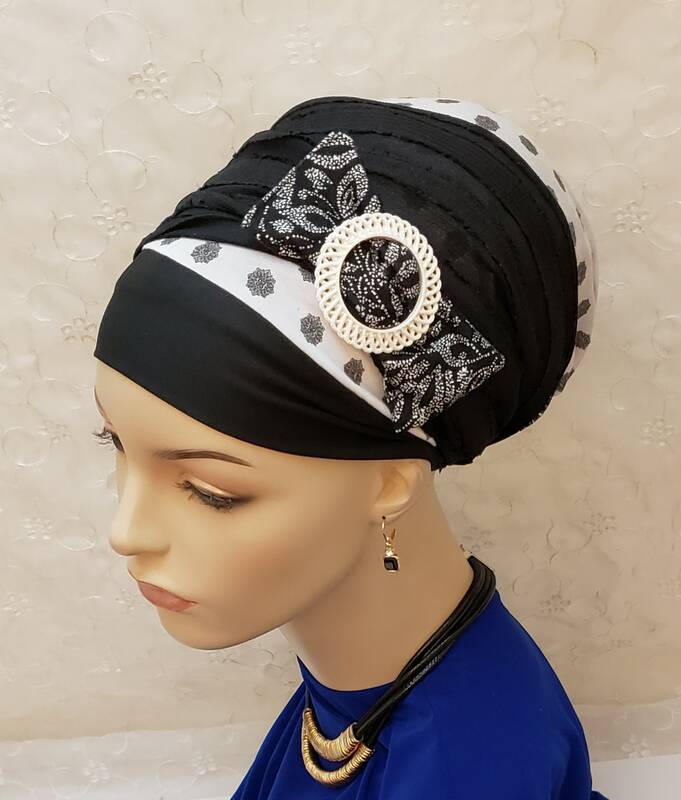 Wear with or without the slide or bow. 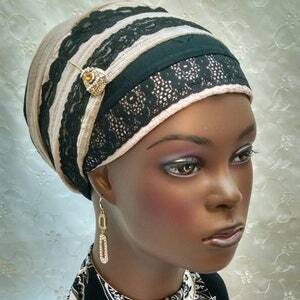 A decorative Bobby pin would also be beautiful.